Dr. Zhang Bangwei has been teaching and conducting research in the field of materials physics for more than fifty years. His research work in nanomaterials and amorphous materials, electroless alloy deposits, thermodynamics of alloys, and EAM theory and its applications has been highly cited and recognized in the national and international scientific community. He has twice received the Fellowship of The Max-Planck Society and worked in the Max-Planck Institut für Plasmaphysik (IPP); He has worked as a senior scientist in the Dept. of Materials Science at the University of Virginia and is a past member of The American Physical Society and the TMS (The Minerals, Metals and Materials Society). He and his group have studied nanomaterials for more than twenty years, focusing on the various methods for synthesizing nanomaterials. He has published more than 200 research papers, including more than 100 in international English-language academic journals. 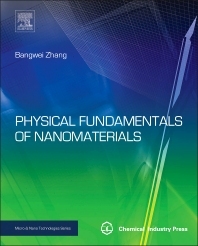 He has published three professional books and four handbooks in Chinese, including Embedded-atom Method Theory and its Application in Materials Science, and Practical Manual of Non-metallic Materials.